One of the UK’s brightest talents Toddla T rolls into Dublin town for a show this Sunday in the POD on Harcourt Street. Frequent readers will know only too well that I’m a massive fan of this guy. I’m still hooked on the thumping electronic dancehall strut of his 2009 debut Skanky Skanky. Somehow I’ve yet to catch him live, a trend that looks like continuing beyond Sunday night (Damn you Sundays!). Anyway, it gives me the chance to share this crushing remix of his new single, ‘Take It Back’, from LA producer Dillon Francis, who’s own stock has been rising recently. Keep your eyes and ears peeled for his next and debut Ninja Tune album, Watch Me Dance, which will feature Roisin Murphy, Skream, Wayne Marshall and Ms Dynamite and others. Toddla T plays the POD on Harcourt Street this Sunday, May 1st. 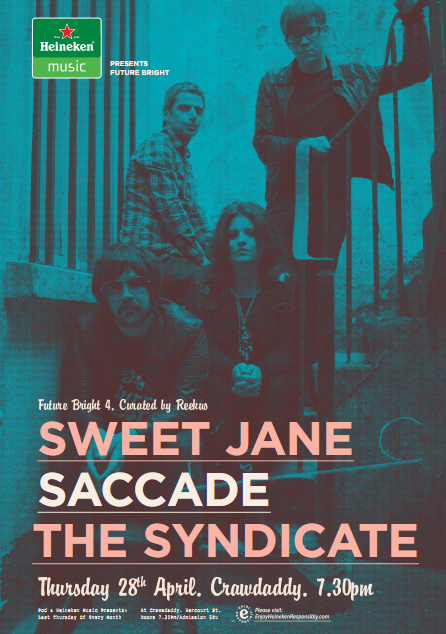 Tickets €12/Doors 10.30. The Strokes returned with Angles last month following a lengthy hiatus. The album has received a mixed response from critics with many tending to tilt toward the negative. This is a brief attempt to redress the balance somewhat. Much has been made of Casablancas taking a step back from dictatorial creative control. Previously he’d taken charge of nearly every aspect of the music, but, on this occasion songs from other members are featured. This odd collaboration process has born an album of scatter-shot diversity. Yet, somehow Angles sounds a lot like a first cousin of his solo album, 2009’s Phrazes For The Young. ‘You’re So Right’, ‘Games’ and ‘Two Kinds Of Happiness’ signal a shift towards a sound rooted in ’80s new wave/post-punk and could have slotted right in to his aforementioned solo record. They also sound boldly futuristic. The signature spiky strokes lo-fi garage sound remains at the heart and soul of this record; ‘Taken For a Fool’, ‘Under Cover of Darkness’ and the clever twists of ‘Machu Picchu’ are exeptional. There are further stylistic departures with the drumless ‘Call Me Back’ and glam-esque ‘Gratisfaction’. 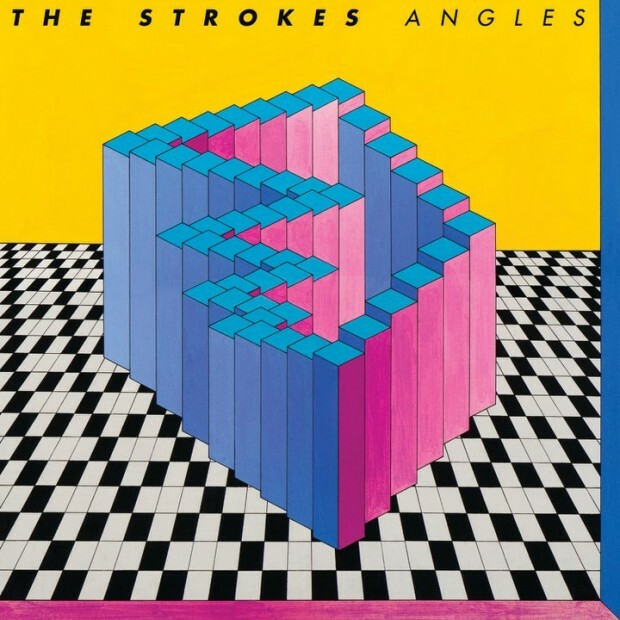 Burdened with so much expectation from 5 years away, their return isn’t so much a masterpiece than Angles showing us The Strokes are still very much part of the mix ten years on from Is This It. Angles isn’t perfect, its scattered, disjointed and experimental; call it what you will but it is a damn fine album. 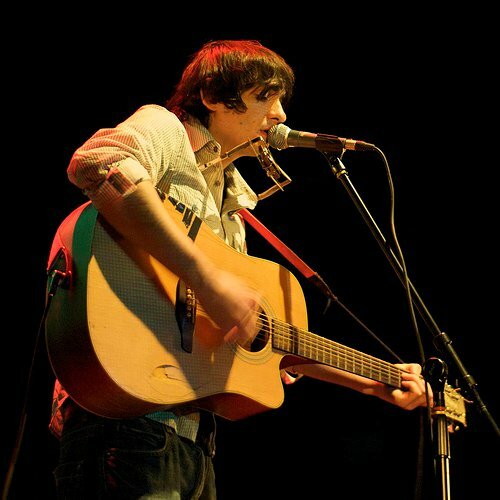 Conor Mason is set to release Standstill, the follow-up to his 2009 debut When It’s Over, later this summer. Mason, one of the shining lights at last years HWCH in Dublin, put on an exceptional show for a lucky crowd, affirming his position as one of my favourite artists in Ireland right now. He is picking up where he left off with his debut, keeping the richness, warmth and wistfulness intact. Both ‘Words’ and ‘5AM’ see the intricate instrumentation and delicacy take centre stage once more as flowing melodies slide gracefully over a sea of soft velvet vocals. It sounds as though he is eeking out more of that full-band sound especially on ‘Words’, just wait for the Coral-eque guitar solo to kick in. Things are certainly looking good for the album later in the summer, I for one, cannot wait. Video: Not Squares – Yeah! Belfast trio Not Squares have just dropped a video for new single ‘Yeah!’. ‘Yeah!’ encapsulates all the very best of their throbbing experimental electro/rock which made their stunning debut Oh Yeah, one of last years best albums. These guys deserve to make a big splash this year, here’s hoping this is only the beginning of a 2011 to remember. This superb video was created by Bright Stem. Stream the full album, Oh Yeah here. Wow! 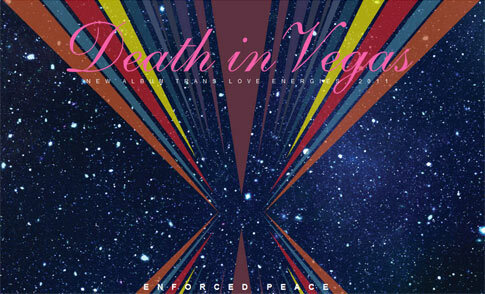 I must admit I’d almost forgotten about Death In Vegas, it’s been a while. ‘Enforced Peace’ marks a very interesting return from the band who will release a new album called Trans-Love Energies in September. It is a far cry from the live-band sound they perfected on The Contino Sessions or Scorpio Rising, rather, it is sounding very similar to earlier material on Dead Elvis. It is good to have ’em back. Give it a spin below or grab a download at their site. Get this. Converse pulled together awesome trio of Graham Coxon (Blur), Bill Ryder-Jones (Formerly The Coral) and Paloma Faith to create ‘Desire’. It does seem a bit random, a shoe company bringing together exclusive music collaborations but, it is the latest of a series which has previously seen collaborations from Vampire Weekend, Kid Cudi & Best Coast, Bernard Sumner, Hot Chip and Hot City and Santigold, Pharrell and Julian Casablancas. It doesn’t really matter about the who, what and why, this works so, so well. Ms. Faith’s soaring vocals are impeccable, especially against the backdrop of two of the most talented guitarists of their generation rockin’ out together. Thank you, Converse. Watch the video or grab the track for keeps below. 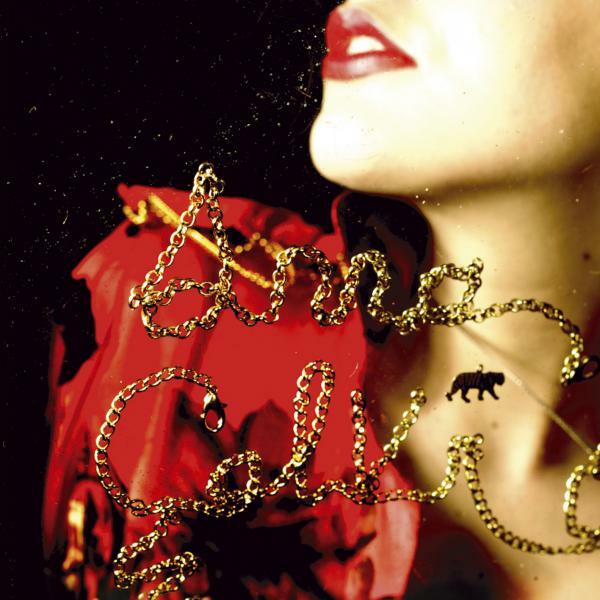 Before releasing her eponymous debut album, Anna Calvi had been lauded by numerous pundits, culminating in a nomination for the BBC’s Sound of 2011. For once, please believe the hype it is justified. Why take so long to post anything about her I hear you ask? Simple. I wanted to do this wonderful album the justice it deserves. This album is an enthralling collection of brooding and dramatic gothic pop-songs, these sweeping multi-textured scores feel almost classical at times. The English songstress will capture you from the very first note of the atmospheric wandering guitar instrumental opener ‘Rider to the Sea’. There is a striking air of confidence expelled by this record. Unafraid to take chances, we witness an effortless switch between the rich and brassy Bond-movie-esque ‘Suzanne And I’ and the sparse climactic centrepiece ‘The Devil’ or the swooning ‘Blackout’. These entrancing pieces are intricately woven together to form an equally thrilling and chilling experience, her vocals, wow! She delivers raw, primeval emotion time after time. Even though the themes explored may be dramatic and dark at times it is overwhelmingly uplifting, each piece of instrumentation is filled with a warm, fuzzy glow. So, three months since it’s release and it is just as captivating now, as then. This is without doubt one of the finest albums of 2011 and it is so much more than a flash-in-a-pan – I only hope I’ve done it justice. With issue 6 of Lookleft almost ready to hit the shelves across Ireland I thought it wry time I shared an interview I did for the last issue with one of Ireland’s most treasured artists, The Mighty Stef. The Mighty Stef has long been heralded as one of Ireland’s finest emerging troubadours, something his latest album ‘TMS & The Baptists’ has placed in stone. Lookleft needed no excuse for a chat with Stef before the Newbridge leg of his Irish Tour. We sought sanctuary in the corner of the bar away from the pre-show hustle and bustle. The positive reactions to his new record and the numbers braving the snow to make it to his gigs had a genuinely humbling effect on him. To date his work has been characterised by a fiery folk-punk attitude and a predilection for the darker side of life especially in the early days “I think I was deliberately aiming for the more morose themes” and “there’s some pretty dark stuff on the new album, mixed with two or three uplifting tracks”. The album title evokes religious connotations which manifest themselves dealing with issues of sin and redemption during songs ‘John the Baptist Parts 1 & 2’. Accompanied by a wry smile he explains the thinking, “John the Baptist (Part 1) is almost a tongue in cheek gospel song asking for whomever it is that hands out forgiveness to have mercy on us all, in particular me and the other five lads in the band. I’m not a deeply religious person”, preferring instead to keep it simple and “believe in right and wrong”. The introduction of his new band ‘The Baptists’ has pushed him from his comfort zone, making things “slightly different. They didn’t let me be nonchalant or lazy as I would normally be”. Music has acted as a catalyst for change in the past but Stef isn’t sure if he’s “politically savvy enough to write a protest album or anything like that”. There’s a feeling music can “even by accident, change things. When rock’ n roll first hit America, Christian rightwing groups said it was the work of the devil but it changed people’s perspectives. love doing this so much, I would never complain about how difficult it is because it’s an absolute privilege and pleasure to do it”. The internet is an intrinsic weapon in his arsenal and he is dismissive of the major labels’ and industry heads’ attitudes that the internet is killing music. On the contrary it seems to be a great leveller; “it might have spoiled the party for a lot of people who have had it really good for a very long time. If you look down the food chain to the likes of myself, I’d be nowhere without the internet. It allows me to go off on tour, play small venues and for people to be able to find out who I am and interact with people about the music”. In an industry that constantly presents individuals obsessed with fame, self-importance and money but low on talent, to find a musician so honest and full of love for music is a refreshing change. 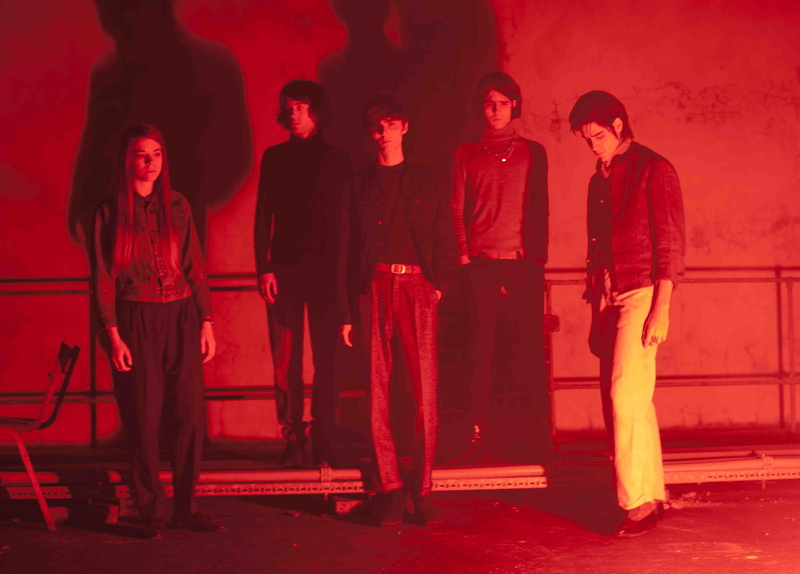 London-based post-punk band, S.C.U.M (who take their name from the 1968 feminist manifesto Society For Cutting Up Men), have been steadily building up steam in their native city over the past year or so. ‘Summon The Sound’ is the first taste of what to expect fromtheir debut album, due out in August. ‘Summon The Sound’ is a dark epic slow burner, recalling the kind of sound The Horrors perfected on their second album, Primary Colours. A stunning track which certainly whets the appetite with an album only around the corner. This also featured on an exclusive Record Store Day vinyl, Vorwarts, along with unreleased material from Can, Liars and Grinderman. You can watch the hellish video and download the track below.